There’s always a heightened level of excitement when Judas Priest comes to town. After all, the iconic British metal band is more than just a band. 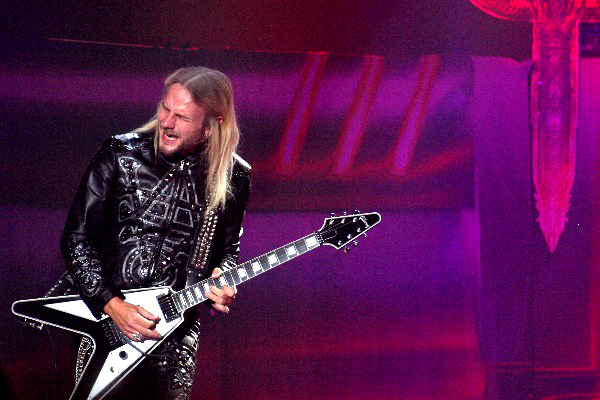 Judas Priest is an ethos– a lifestyle. With that understanding, scores of Judas Priest fans flooded into The Masonic Temple in Detroit on Saturday (March 31) ready for more than your average heavy metal show. With sets from Judas Priest, Saxon and Black Star Riders, the crowd was in for a treat. “Firepower” is the title of Judas Priest’s latest album, and it’s also the perfect descriptor for the band’s live shows. 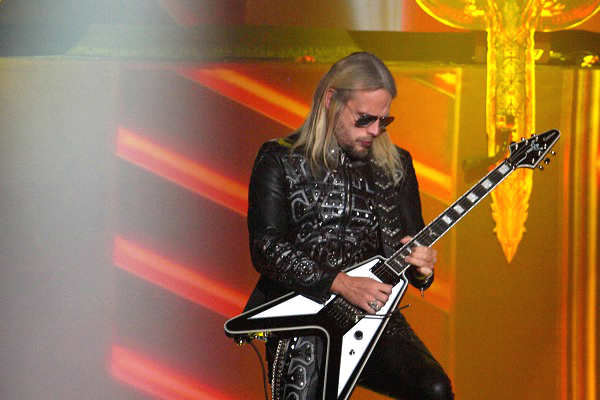 Rob Halford’s powerful, soaring vocals are a brilliant compliment to Richie Faulkner’s vibrant shredding and soloing, and live, these guys are unstoppable. That’s not to mention the rest of Judas Priest’s talented cast of instrumentalists. 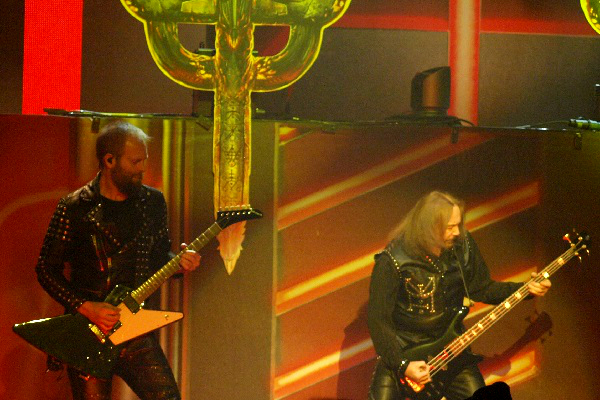 With Halford, Faulkner, bass player Ian Hill, drummer Scott Travis and touring guitarist Andy Sneap in the fold, Judas Priest truly brought the “Firepower” to Detroit. 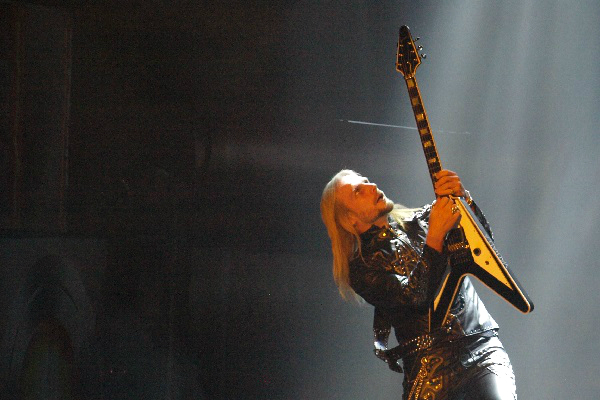 When Judas Priest took the stage around 9:20 p.m., a mighty wall of sound instantly struck the crowd– towering, majestic walls of guitars and thick, guiding rhythms. Beginning with the beautiful song “Guardians” off “Firepower,” a magical overture of piano and orchestra, as well as a short tribute to Black Sabbath’s “War Pigs,” Judas Priest captured the audience’s attention from the get-go. 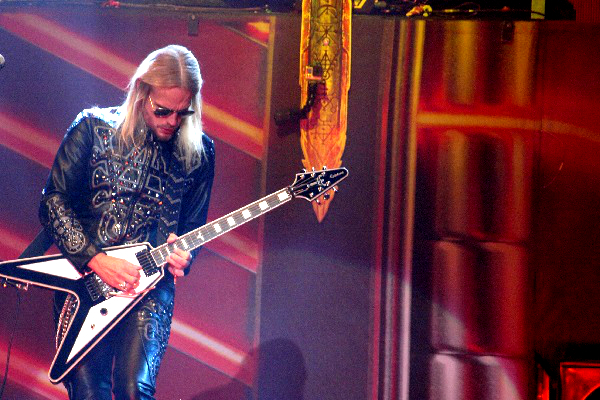 Guitarist Glenn Tipton announced before Judas Priest’s current tour that he would need to stay off the road due to his battle with Parkinson’s Disease. Thankfully, he has been able to appear at various Judas Priest gigs, but he wasn’t at the Detroit show. 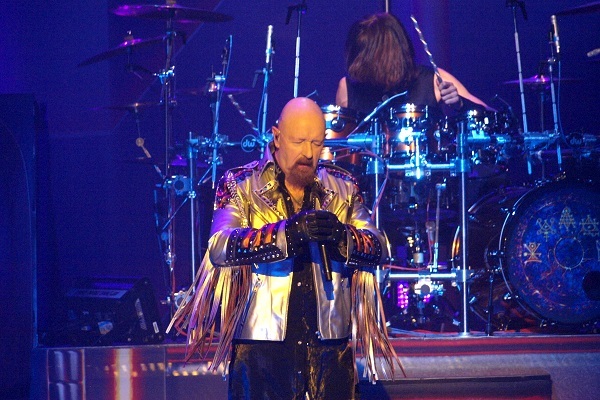 Still, the Judas Priest family is strong, and fans kept Tipton in their thoughts as they enjoyed Saturday’s festivities. Openers Saxon and Black Star Riders also brought stellar sets. Saxon’s classic metal style was a just-right fit with Judas Priest’s headlining offering. Black Star Rides, which consists of many Thin Lzzy members, also served up a dose of solid heavy jams. Back to Priest. 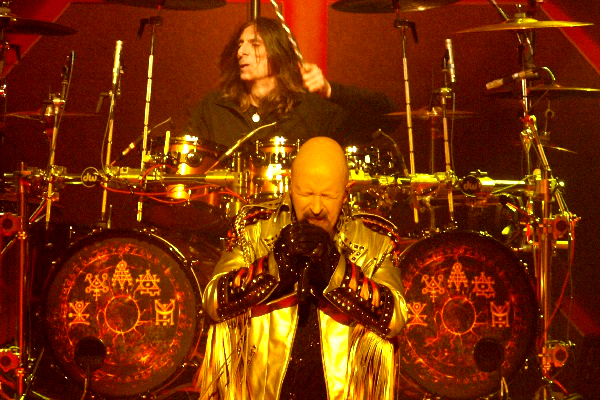 Timeless songs, unbeatable onstage theatrics, powerful styling– this, my friend, is exactly why Judas Priest is more than just a band.